Komsberg Wilderness Nature Reserve is a special place. 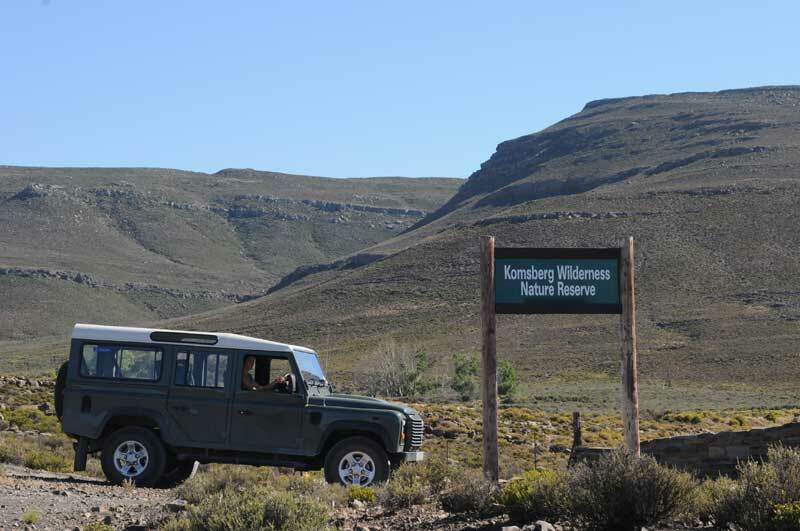 It is situated within South Africa's upland succulent karoo - widely recognised as one of the world's 25 most important conservation hotspots for biodiversity. It is a huge place: 30,700 acres or 125 sq km in size, 17 miles in length. Komsberg is bigger than several South African national parks and one of the biggest private nature reserves in the country. The sense of wilderness is authentic and truly awesome. Three different habitat types are found within Komsberg: numerous mountains and mountainsides, extensive mountain plateau with superb grazing for wildlife, and a lower valley area 2,400ft below with thousands of acacias and other trees. Several dramatic overlook points provide excellent views of this spectacular scenery. Our animals and plants are unusual and brilliantly adapted to the semi-arid conditions. Indeed, a high percentage of Komsberg's species are unique to the region. 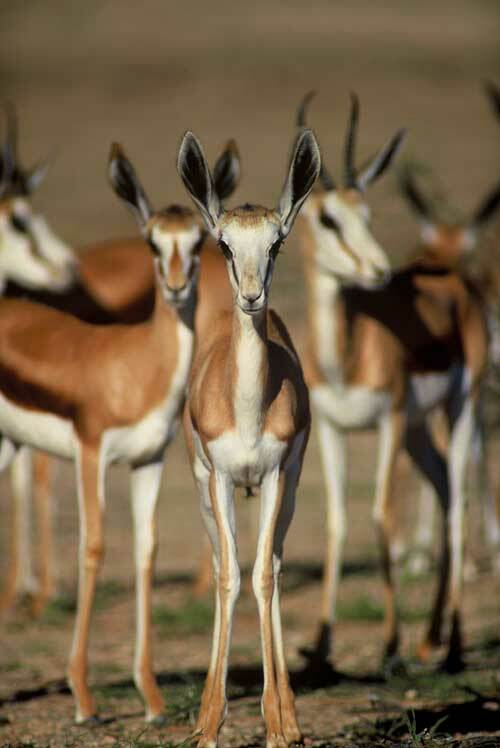 You would expect to find springbok in the karoo, of course, and we have hundreds of them. Kudu, gemsbok, and red hartebeest are our larger antelope species - re-introduced by ourselves. We have also released blue wildebeest and black wildebeest; the latter species almost went extinct in the late 19th century. Furthermore, we have re-introduced Burchell's zebra to Komsberg....absent since 1811. Klipspringer, steenbok, and duiker (the smaller antelope species) are no less interesting; our numerous mountainsides support an excellent population of klipspringers. Grey rhebok are a medium-sized antelope unique to South Africa's mountains and Komsberg is thought to have the best population of these fascinating animals. 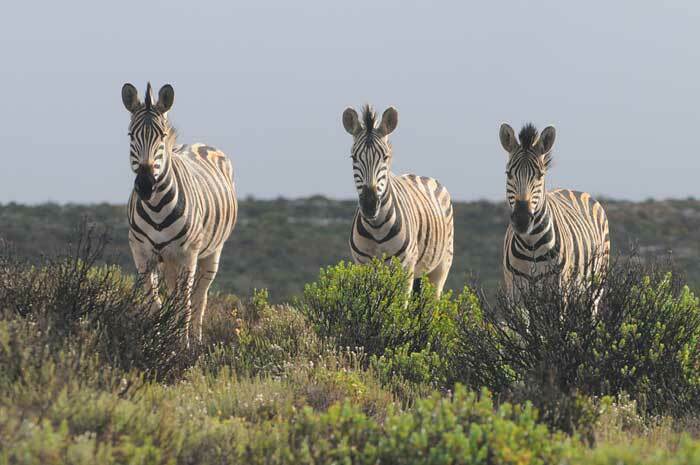 We re-introduced the endangered Cape mountain zebra in October 2010, definitely one of our biggest achievements. It is likely that Komsberg is the most spectacular place to see these mountain zebra as we have numerous, dramatic mountainsides on which they can roam freely. Meerkats are common at Komsberg, especially on the plateau. 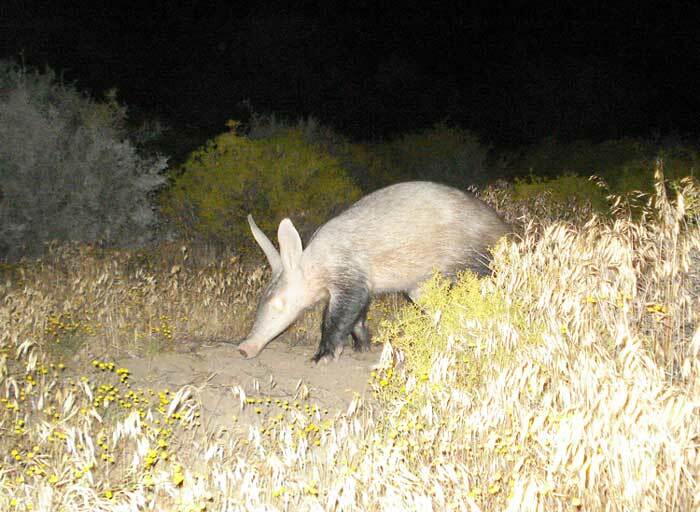 Porcupines, aardvark, aardwolf, honey badgers (officially the world's most ferocious animal), African wild cats, and bat-eared foxes are some of our other unusual smaller mammals. Baboons are the most successful of all the African monkeys. These intelligent primates are commonly found in troops of 70 individuals or more. The caracal is undoubtedly one of the world's most beautiful cats and these medium-sized predators have recovered well at Komsberg; they kill species as large as grey rhebok. Black-backed jackal have also increased in numbers after years of persecution by sheep farmers. We are proud to have five eagle species at Komsberg, including the martial eagle and black eagle - Africa's two biggest eagles - which are commonly seen. Komsberg is an excellent place to see many birds of prey. Flamingos and the malachite sunbird are two of our more exotic birds. For the bird enthusiast, South Africa has more endemic species than any other country in Africa and these are heavily concentrated in the karoo region. Our numerous dams and waterholes are a magnet for waterfowl and other birds. Komsberg is also rich in reptiles, including several tortoise species. Colourful lizards are everywhere. 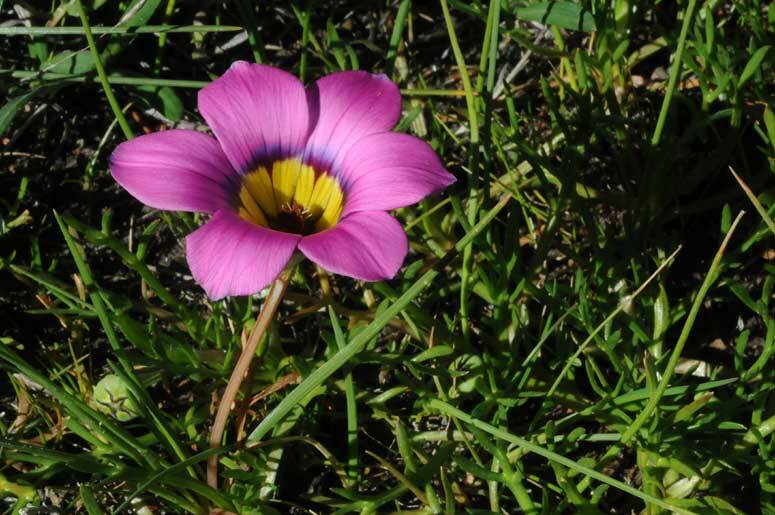 Many of the wild flowers are unique to our area and highly colourful. Two have actually been named after Komsberg; e.g. Romulea komsbergensis. Our region is also rich in succulents. We have a large and important population of the endangered star tree that is a member of the rose family. This massive project began in 2002 when we purchased a 16,000 acre sheep farm, establishing Komsberg Wilderness Nature Reserve. Komsberg means "surrounded by mountains". 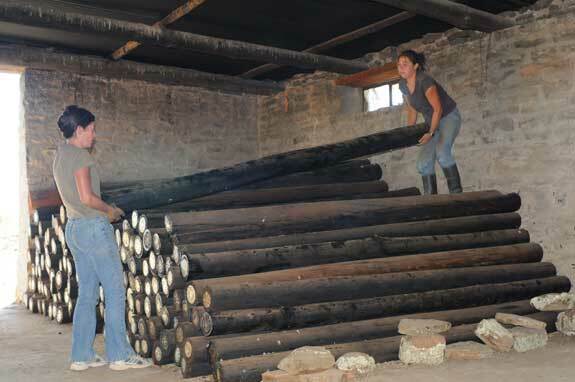 In 2006, we purchased an adjoining 15,000 acre sheep farm - almost doubling our size. It has taken years of hard work to get Komsberg to how it is today.... and this work continues. The removal of miles and miles of internal camp fencing is necessary so that the larger animals can roam freely. Lorry loads of perimeter fencing materials have had to be bought at considerable cost, carried into position up and down mountains, and then finally erected to a height of 2.4m. Gates have needed to be made and waterholes adapted from sheep use to wildlife. And much more. This all takes tremendous dedication, determination, and a range of other strengths.